The Internet itself is the biggest distraction no matter whether your a ruthless web surfer or anyone who works online. The click-bait titles, misleading advertisements, and a bunch of other things. After all, reading a piece of content is truly a nightmare for most of us. As far of the concentration swings away easily, you must have some sort of remedy to consume the content without scattering away. It sounds difficult, on the hand, it would be easier than you thought when you push the content to offline. By doing so, you are terminating the pop-ups, advertisements, and other distractions. Within one tap or click, your content would be pushed to offline. And you can continue with your work, as the downloading runs in the background. Surprised to know the App? Then here you go. Meet Pocket. Pocket App can help you in various ways, whether it may be online contents, articles or videos even it has the built video player, you can push those stuff to offline. Best part among all is you can sync all your contents across all the platform. Ranging from the desktop computers to Apple iPhone. You have limitless options to read your contents on your different devices. Overall, one of the best Evernote alternative you can consider. Pocket App Review: Why It Should Be Your Next Pick? On Android Crush, we often tend to switch to Pocket from its alternatives. The reason is simple, its user interface is clutter-free and an array of options to organise your content. Pocket App downloads all the contents of the web articles like Text, images and videos and stores it in the Memory card to access it in offline. Saving to the pocket app pulls extra data charge than reading it online, but totally worth as you can read whenever you need unless you delete manually. In android phone, you can easily bookmark your favorite articles by clicking on the menu button and hit share and click pocket. This method of saving to the pocket works in any app whether it may be Android, iPhone or anything else. Even you can copy the article link to the clipboard and open pocket app you’ll prompt with a pop-up asking to save the articles hit yes to save it in the read it later app. If you’ve installed Save to Pocket Chrome extension you can save your articles in your PC and sync it with your smartphone app and vice versa. The stuff you have saved to the Pocket App Cloud storage for instant access whenever you log in to the pocket account across any platform in any part of the globe isn’t is great. You can check out the various eye catching features in this Read it later app review. Sync your files anywhere across any platform in the world even in free accounts. Advanced categories option to save articles of the similar kind. Article view and Web view layouts available for great impact. Pocket App for Chrome makes it easy to use in PC. One Click saves to pocket in any app with Share button. Add tags to the to find them easily when you sort with their respective tag. Two modes (Day and Night) are available for seamless reading. Much more is hidden in this beast app. Why you Need Pocket App? Being the Blogger and Android geek, I need to learn something new and unique every day to implement it for better next day. Even the most advanced today will be outdated by tomorrow. So I’ll use pocket App to save all articles which I found useful and read it in my Android tablet while I’m laying down on the couch. I’m an avid traveler, I used to travel far wide around my motherland. During my journey time, I take my Tab and start reading the article which I’ve saved last night. During the journey, I myself feel more studious than in the college life. 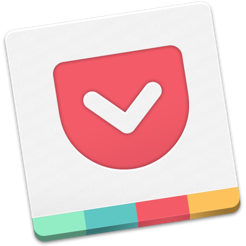 I highly recommend the Pocket App to get you into the top notch productivity level. That’s the reason why you need the Pocket App ready with you. Pocket App amazing app formerly known as Read it Later Inc is the lethargic way to save the interesting articles, contents and much more. Since it is the premium app you need to pay for the pro version to unlock dozens of other exciting features. Reading a blog post or article on the internet is a nightmare for many, the pop ads almost all the things in the web ecosystem distracts us in one or other way. Moreover, it is inevitable as that’s how the internet is and would be. Luckily, some offline reading services like Pocket make your life easier. It pushes the online contents to the offline and provides you the peaceful and clutter-free reading experience. Did we mention it’s free? If not, it is.